US Media Finally Acknowledges That Ethics and Justice Issues Are At the Center of Contention in Climate Change Negotiations, Yet Has Not Caught On to the Significance of This for US Policy. During the climate negotiations in Warsaw that concluded late Saturday, some of the most prominent US media institutions finally acknowledged that ethics and justice issues were at the very center of the most contentious issues in dispute. The Washington Post reported that: Hundreds of activists march for climate on sidelines of UN talks in Warsaw and in this story there was acknowledgment that the ethics and justice issues were the central focus of unresolved issues on national ghg emissions reduction commitments and funding needed funding for poor, vulnerable nations for adaptation and climate change caused losses and damages. Bloomsberg News also ran a story entitled: U.S., EU, Reject Brazilian Call for Climate Equity Metric. This story described great disagreements among nations on how to allocate national emissions targets on the basis of equity. This recent recognition of the importance of ethics and justice issues in international climate change negotiations marks a possible sea change in on how the US press has thus far covered international climate change issues. Yet it is too early to predict such a transformation will actually take place and reason to believe that the US media still does not understand the practical importance for US climate policy that an ethical focus on climate change entails. In fact there is no evidence that the US press understands the policy significance for the US if climate change is understood as a civilization challenging global distributive justice problem. As we have frequently reported in EthicandClimate.org over the last several years, (See articles on the website on the US media in the Index), the US media has been utterly ignoring the climate change justice issues that increasingly have become the most contentious issues in dispute in the international search for a global solution to climate change. Although there has been a US press presence at international climate negotiations since they began over 20 years, the US media reports on the climate negotiations has usually focused on the failures and small success of previous negotiations. Also, sometimes the US press also has reported on specific disagreements among nations on contentious issues in negotiations. And so, the US media has covered climate negotiations like they would a baseball game, that is they usually focus on the score, who batted in the runs, and who prevented runs from scoring. In the meantime, during the debates about US domestic policy on climate change that have been taking place for almost thirty years, the US media has reported on climate issues almost exclusively by focusing on issues of scientific certainty about climate change impacts and economic cost to the US economy. This phenomenon is partly attributable to the fact that economic interests opposed to US climate change policies have skillfully and successfully framed the US climate change debate as a matter about which there is insufficient scientific evidence or too much adverse impact on the US economy to warrant action. And so, although climate change is a civilization challenging problem of distributive justice, the US media has largely ignored the justice issues particularly in regard to their significance for US policy. For instance, if the the US not only has economic interests in the climate change policies in political debate but also obligations and duties to poor vulnerable nations to not cause them great harm from US ghg emissions, the United States may not justify failure to act to reduce its ghg emissions on the basis of economic cost to the US. Yet now that the scientific community is telling the world that is running out of time to prevent dangerous climate change and that there is a very small amount of ghg emissions that can be admitted by the entire world if the international community seeks to have any reasonable hope of avoiding dangerous climate change, the ethics and justice issues are becoming undeniable and it is almost possible to ignore that the ethics and justice issues are at the very center of international disputes about how to structure a global climate solution. And so, cries about the justice issues will mostly likely continue to become louder in the future. This is so because if the entire global community must limit total global ghg emissions to a specific number of tons of ghgs and this number requires radical ghg emissions reductions from the entire global community, the obvious question becomes what is any nation’s fair share of allowable emissions. 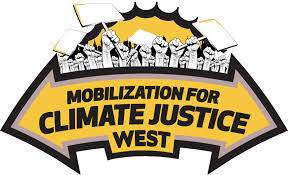 And so, issues of climate justice may no longer be ignored, in fact, the longer the world waits to arrive at a global solution to climate change the more important and visible the ethics and justice issues will become. For this reason, it will become more and more difficult for the US press to ignore the practical significance of ethics and justice questions. At the center of the Warsaw negotiations was not only the question of what was each countries fair share of safe total allowable greenhouse gas submissions, but also what does justice require of high-emitting countries to both pay for the costs of climate adaptation and compensation for damages for poor vulnerable countries that have done very little to cause climate change. 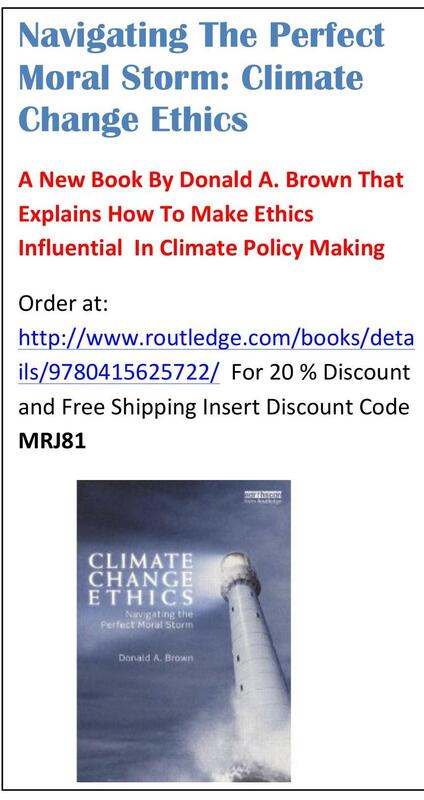 And so this new interest in ethics and justice about climate issues could become a growing media focus. However, this recent new interest of the US media is not evidence that the US press has begun to pay attention to the implications of these issues for US climate change policy. In fact, there is no evidence that the US media has figured out how the ethics and justice issues will need to radically transform how domestic climate change policy is debated in the United States. We will know that the US media this is seriously paying attention to the ethical dimensions of climate change if it examines the following questions when it covers US climate change policy debates. 1. What is the ethical justification for any proposed US greenhouse gas reduction target in light of the fact the US has duty to reduce its emissions to the US fair share of safe global emissions. In setting a ghg emissions reduction target, what ethical obligations to nations and people outside the US has it taken into account. 2. If the United States is a very large emitter of gigs compared to most other nations in terms of historical and per capita emissions, why doesn’t the United States have an ethical duty to fund reasonable climate change adaptation measures in and losses and damages of poor developing countries that have done little or nothing to cause human-induced warming. 3. If a US politician argues in opposition to proposed US climate policies on the basis of cost to the US economy, why doesn’t that politician acknowledge that in addition to US economic economic interests, that the United States has duties to people around the world and future generations to reduce ghg US emissions. 4. If United States actually has ethical duties for the rest of the world to reduce its ghg emissions to its fair share of safe global emissions, why is there no national policy encouraging everyone in the United States including individuals and corporations to reduce unnecessary ghg emissions. 5. On what basis may the United States argue that it need not reduce US ghg emissions to its fair share of safe global missions because China or some other developing country has not yet adopted strong climate change policies, given that any US ghg emissions in excess of the US fair share of safe total omissions is harming hundreds of thousands of people around the world and the ecological systems on which life depends. This entry was posted in Atmospheric Targets, climate change governence, Distributive and International Justice, equity and climate change, General Climate Ethics, US media and climate change and tagged barriers to climate change policy, climate change and morality, climate change ethics, climate change policy, Ethics and Climate Change, Ethics and Global Warming, US media and climate change, US media failure on climate change, US press and climate change, US response to climate change by dabrown57. Bookmark the permalink.